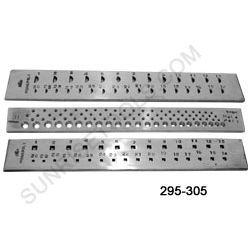 Description :- This draw plate is constructed from heavy duty steel and used to reduce and shape thickness of gold, silver, brass, copper, platinum or steel wire. The holes are progressively smaller, in proper increments so that wire drawn from a preceding hole will go through the next hole easily. Occasional annealing will keep wire soft, and bees wax can be used as a lubricant. Tubes can also be formed from flat sheet metal. 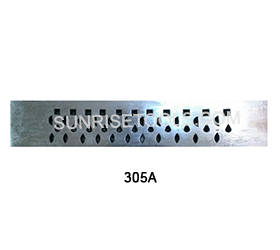 A must have tool for professional jewelry maker. 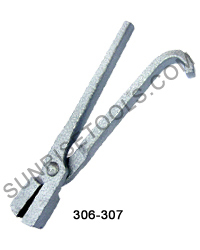 Description :- These Draw tongs are made from high quality forged steel and are used to draw or pull wire through draw plates. They have serrated jaws that provide an excellent grip when drawing wire. The properly shaped handles insure a good continuous hold. 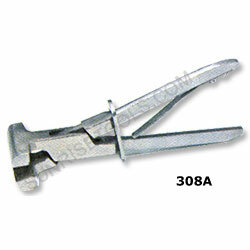 Description :- Draw tongs are made from forged steel and used for wire drawing, hand drawing and draw benches. Jaws are serrated to grab and hold wire end while pulling. 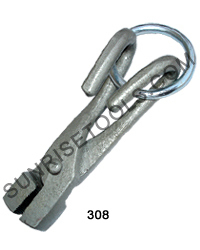 Description :- This Plier is made of forged steel and is used for Pulling Wire Through Drawplates. Also have a single leaf spring and a slide lock for ease of use. 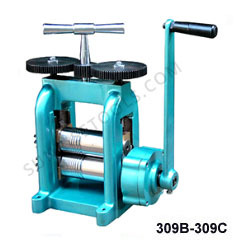 Description :- This excellent quality hand operated mini rolling mill is used for rolling out silver, gold etc. into wires or sheets. 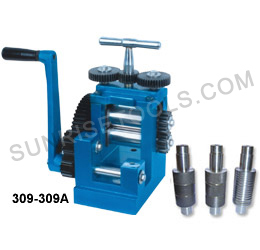 Well-machined, the rollers are made of hardened steel and well polished to a mirror shine. 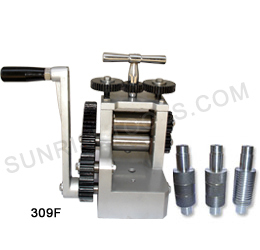 Description :- This rolling mill is designed to meet most of the needs of jewelers and metalsmiths. 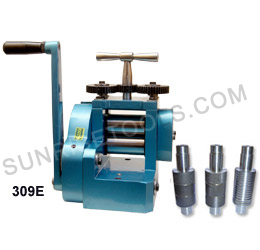 Equipped with gear size 100 x 57 MM/125 x 63 MM, the mill also features 4:1/5:1 gear reduction. 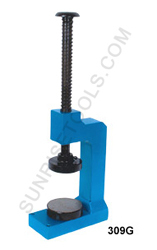 Two holes are provided in the base of the mill for bolting to your workbench. Description :- This hand operated Zig Zag Machine is used by professional Jewelers, Metalsmiths & Silversmiths helps to make zigzag design on thin plate or produce zigzag wires. 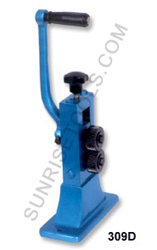 Zig Zag Machine Hand Operated with 5 Gear Set. Description :- Flattening machine is significant equipment in the making and designing of jewelry. Providing medium of quality work for the craftsmen, the flattening machine made available by us is used for giving shape to the bangles. Our flattening machines are manufactured from good quality iron that makes them really durable and robust in performance. 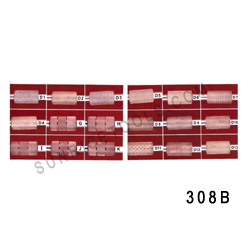 They can be manually adjusted in different angles to apply pressure as required by the user to shape bangles.